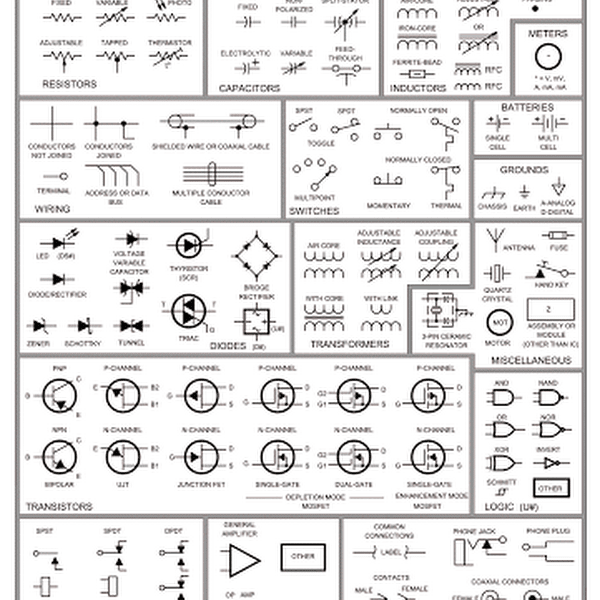 This is a very small and simple Circuit Diagram for Amplifier of 1W mono audio output. The amplifier is based on a single IC TDA7052. It is in 8-pin DIL (Dual-In-Line) package. 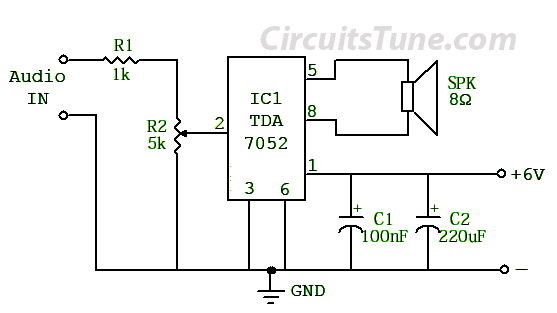 The IC TDA7052 is specially designed for battery-operated audio circuit for amplifier like tape recorders, radios etc. The power supply for this amplifier is 3V to 12V, but we recommend to use 6V power supply. If you want to going with battery, no problem the amplifier can also operate by even 3V Battery cell . The IC TDA7052 no needed any Heat Sink. In the circuit R2 is a Variable Resistor, used as volume controller. Capacitor C1&C2 used to filtering the supply voltage. If battery is used instead of power supply then it(C1&C2) isn’t needed anymore in the circuit. Use an 8Ω speaker at the output to hearing the mono amplification of audio.